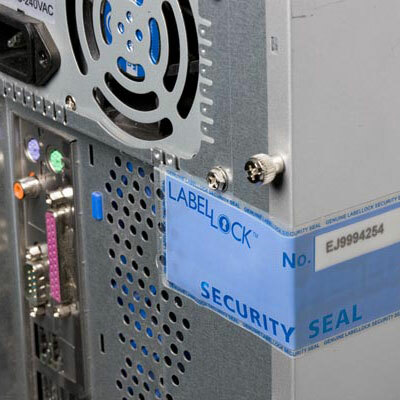 No Residue labels are secure, most simple and effective seals to secure boxes, packages, measurement and control instruments, vehicles, aircraft, mobile computers, etc. Designed and produced to restrain and to highlight any attempted violation of these „seals“, they will show a clear message „OPENED“ on labels if they are removed. Each tag is unique in series – under the label area – to prevent fraudulent substitution (deletion and replacement) and to allow the recording in a database. Message violation is done in a secure format. The label is made „in-register“ that is,each label is designed in a unique format. The label is made from a semi-transparent material so a new label can not be pasted over the old warning message „OPENED“. Labels can be personalized according to customer requirements – the warning message, logo, color, mode of insertion. For increased security these labels are available in alternatives sensitive to attempts to violate with any solvents, air hot/cold water, etc. Series are in a standard format „encrypted“ and this allows multiple tests: batch, production date, the person responsible. Series are stored in the database of manufacturers (UK) and in our database over a long period (7 years), according to UK rules of evidence of special products.